After months of rumours, conjecture and assumptions, Sony has finally revealed some concrete information about how and what the next PlayStation is going to be. Assuming it's called PS5, this new information comes from Wired.com, straight from Mark Cerny, who was the lead architect on PS4 as well as the upcoming PS5. According to him, the folks at Sony have been working on the next PlayStation for almost four years now, and this newer version is not an extended version of the PS4 Pro. Rather, it's a full fledged next generation of the console with immense power. The first thing that Cerny confirmed was that this 'next-generation' console won't be landing anytime in 2019 and that this new system is a revolution instead of evolution. He went on to further explain how Sony has accelerated its deployment of dev kits so that developers get enough time to familiarise themselves with this new hardware. 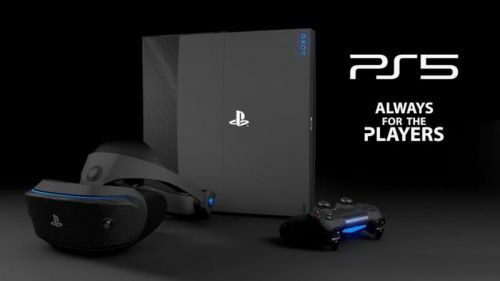 PS5 will have an AMD chip, the CPU is based upon the third generation of AMD's Ryzen and consists of a total of eight cores of the new 7nm Zen2 microarchitecture. The GPU, on the other hand, is a custom variant of Radeon's Navi family and will support the new ray tracing technology. What Cerny was most excited to reveal was the implementation of 3D sound, which according to him will 'redefine' how video games sound. This new AMD chip has a custom unit for 3D audio, so that players can feel the sound from above, behind, as well from the side when they play games. The biggest addition to the PS5 will be the solid state drive (SSD), which Cerny calls 'the key to the next generation'. He went to explain how having an SSD will save time when fast travelling, loading screens etc. He pretty much disclosed how powerful the PS5 will be by comparing the fast travel time taken on Insomniac's Spiderman game on the PS4 Pro to the PS5. Fast travelling from one part of the game on the PS4 Pro took about 15 seconds while on the PS5 dev kit it took 0.8 seconds. The PS5, since it's based partly on the PS4's architecture, will also support backwards compatibility - a feature that is shockingly absent on the PS4 now. More information has yet to be revealed as the developers are still pretty hard at work at creating the most powerful console in the world. Rumour: Sony might be buying Take Two Interactive; GTA 6 and Bully 2 PS5 exclusive?